• Maintain healthy liver function: Milk thistle may act as a hepatoprotective to help maintain healthy liver function. Milk thistle contains the constituent Silymarin, which has illustrated hepatoprotective properties in an in vivo study; demonstrating increases in the redox state and total glutathione content of the liver. 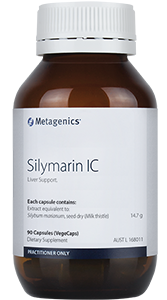 Silymarin also protects the liver by altering the structure of the hepatocyte cell membrane, by being incorporated into the hydrophobic-hydrophilic interface of the microsomal bilayer. 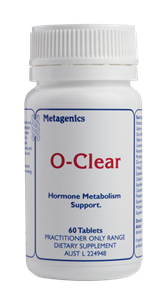 • Detoxification: Milk thistle has also been used to assist bile production and detoxification in traditional Western herbal medicine. Silymarin found in milk thistle has been shown in animal studies to stimulate bile salt excretion by expanding the endogenous bile salt pool. 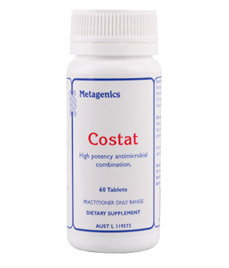 This is due to an increased formation of Chenodeoxycholic acid and its conversion to hepatoprotective bile salts. 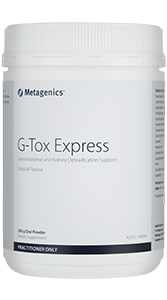 Silymarin has been shown to inhibit beta-glucuronidase; an enzyme that removes glucuronic acid from the conjugated substance before elimination, during the Phase II detoxification pathway. Silymarin is also an inhibitor of Phase 1 detoxification.